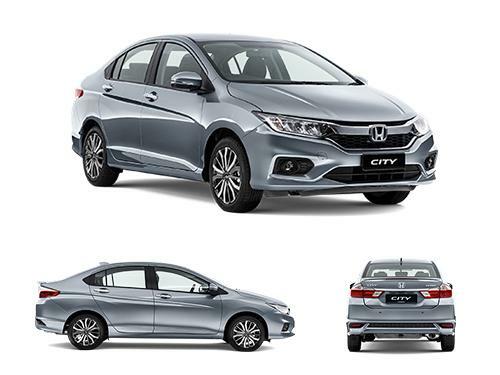 Honda City is a popular sedan from the stable of Honda. It features some of the best passenger features available in the market. These features include a three spoke, leather covered multi- functional steering wheel that can be adjusted for height and tilt. This steering wheel houses several buttons to control the 7-speed Paddle Shift, Cruise Control, Audio Control Switch, and Hands free Telephone Switch. The paddle switch in this car allows the driver to manually change gear without pressing the clutch pedal at the same time. In addition, cruise control allows the car to run at a constant speed. These switches allow the driver to keep his focus on the road. The main competitors of Honda City in the market are Hyundai 4S Fludic Verna, Fiat Linea, Ford Fiesta, Volkswagen Vento and Skoda Rapid. All these sedans come with height and tilt adjustable multi-Functional steering wheel. 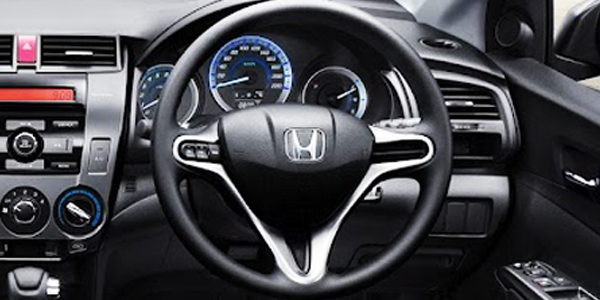 The variants of Honda City that offer steering mounted controls as standard include 20th Anniversary Edition CVT Petrol, 20th Anniversary Edition MT Diesel, SV MT Diesel, SV MT Edge Edition Diesel, SV MT Edge Edition Petrol, SV MT Petrol, V CVT Petrol, V MT Diesel, V MT Petrol, VX CVT Petrol, VX MT Diesel, VX MT Petrol, ZX CVT Petrol, ZX MT Diesel, ZX MT Petrol. The variants of Honda City that do not offer steering mounted controls as standard include S MT Petrol.